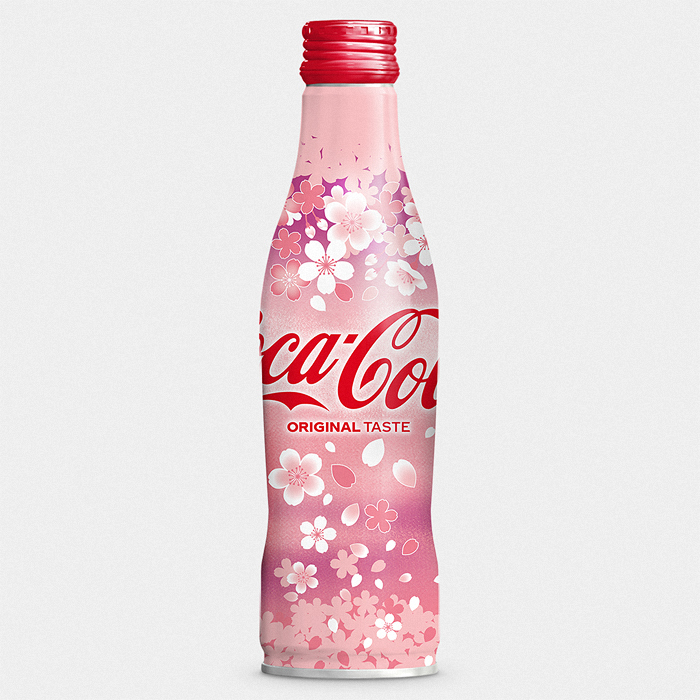 Only available for a limited time in selected stores around Japan, this special edition Sakura season Coca Cola features an exclusive 2019 sakura pattern that wraps around the entire bottle. The bottle itself is aluminium and comes with 100ml of Coca Cola inside. These special edition Coca Cola bottles have become extremely sort after and collectable due to their special designs and limited runs, so don’t miss your chance to get your hands on one! 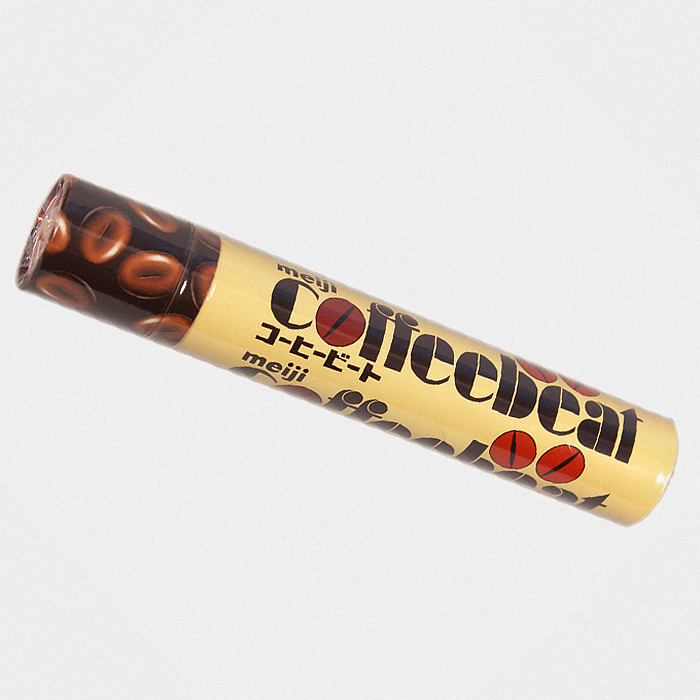 Coffeebeat are a hugely popular treat with older chocolate lovers in Japan because of their smooth milk chocolate and rich coffee flavour. Made to look like coffee beans in shape and size, these tasty chocolates are perfect for any coffee addict! 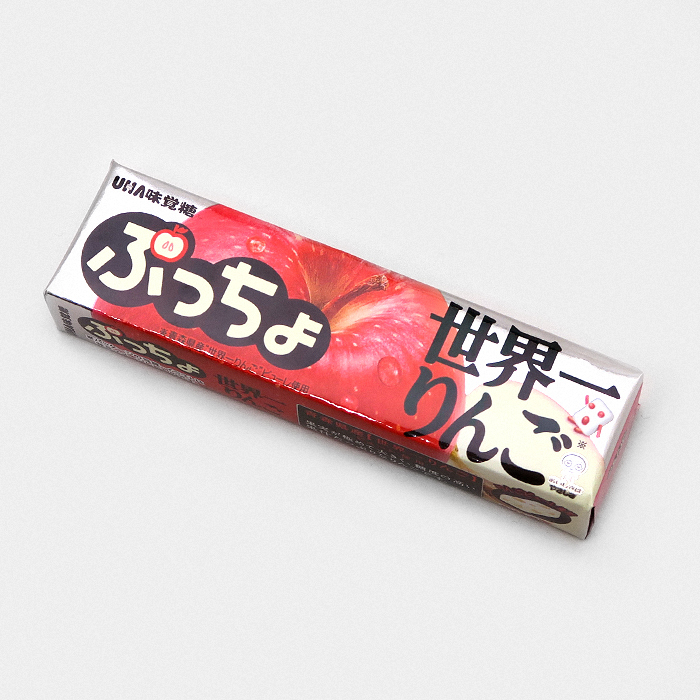 Puccho (ぷっちょ) are soft chewy sweets with intensely flavoured gummy pieces hidden inside! These Puccho are apple flavour, which have an extremely refreshing, crisp appley taste. Puccho are the most popular chewy sweets in Japan and after trying them yourself you’ll understand why! Each stick of Puccho comes with 10 individually wrapped pieces, great for sharing, or even better keep them all to yourself. It doesn’t get much cuter then this new limited edition Pokémon Center merchandise. The Fluffy Little Pokémon collection features soft pastel artwork and plushies surrounded by cute cakes and candy. 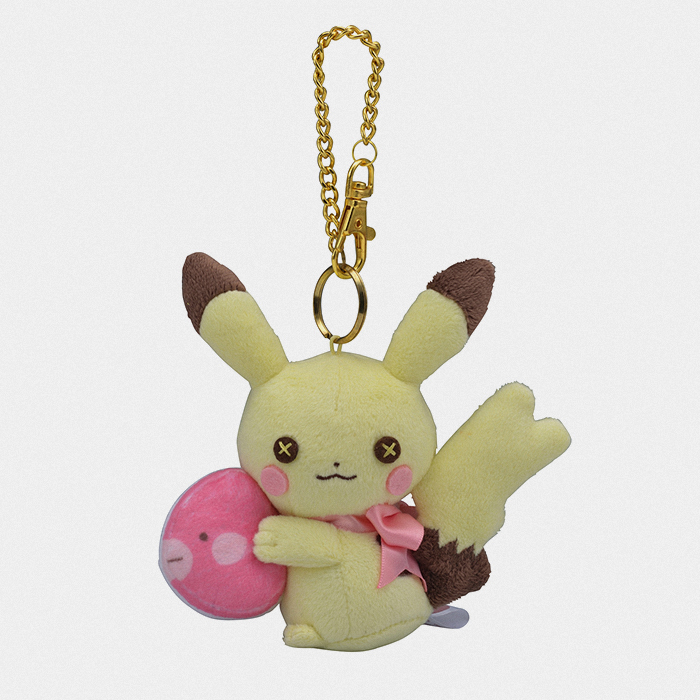 This adorable soft pastel Pikachu plush charm is ideal for anyone looking to cutify their bag. This is a very limited piece of merchandise so once it’s gone, it’s gone for good, so don’t miss the chance to pick up this awesome piece of Pokémon merchandise! It doesn’t get much cuter then this new limited edition Pokémon Center merchandise. The Fluffy Little Pokémon collection features soft pastel artwork and plushies surrounded by cute cakes and candy. 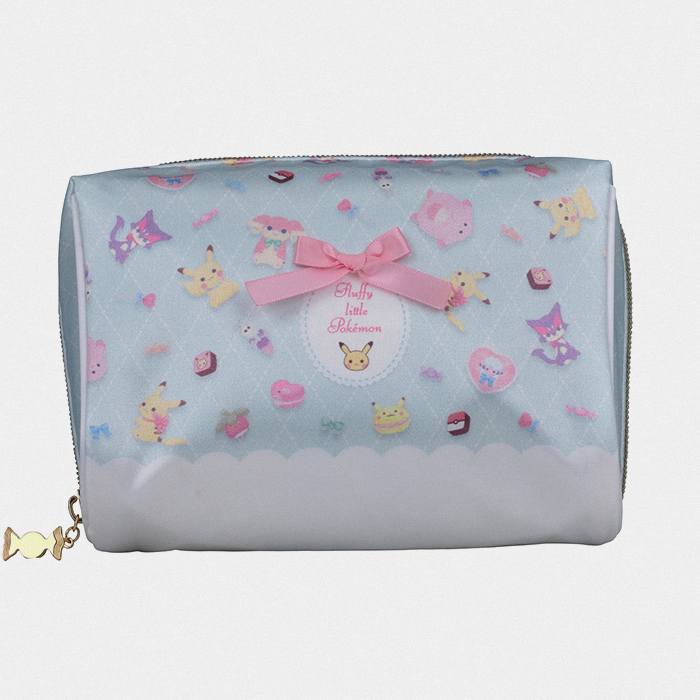 This pastel blue wallet includes Purrloin, Chansey, Audino, Bounsweet, Morelull, Flaaffy, Luvdisc and Pikachu of course. The wallet has multiple compartments and is topped with an adorable gold candy shaped charm on its zip! This wallet can hold a variety of cards, cash and has a secondary zippable coin pouch inside. This is a very limited piece of merchandise so once it’s gone, it’s gone for good, so don’t miss the chance to pick up this awesome piece of Pokémon merchandise! 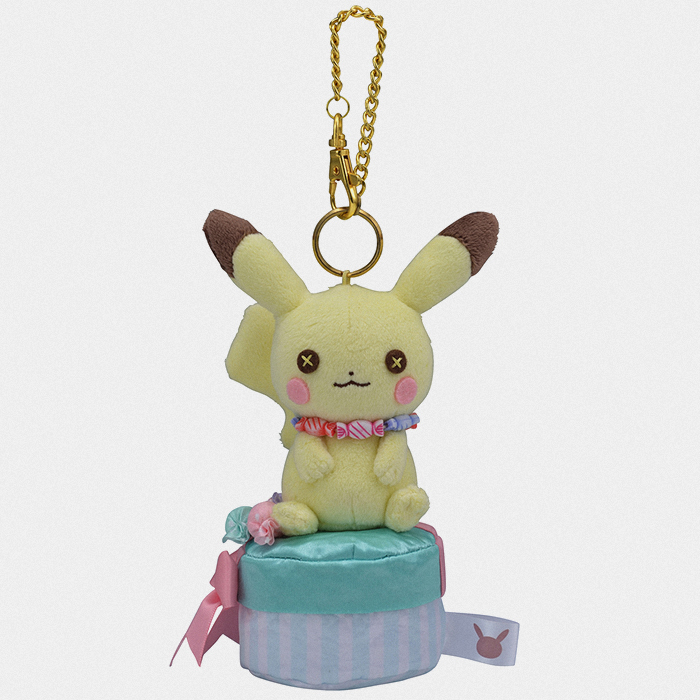 It doesn’t get much cuter then this new limited edition Pokémon Center merchandise. The Fluffy Little Pokémon collection features soft pastel artwork and plushies surrounded by cute cakes and candy. 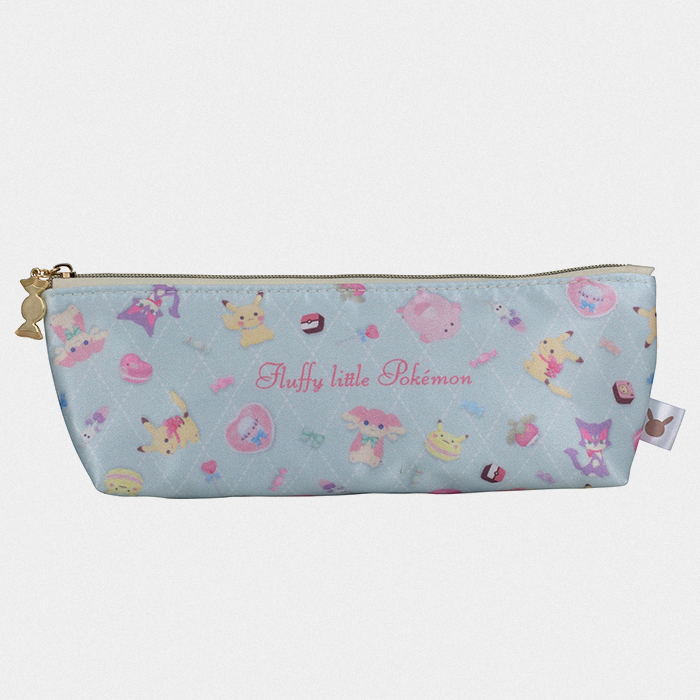 This pastel blue pencil case includes Purrloin, Chansey, Audino, Bounsweet, Morelull, Flaaffy, Luvdisc and Pikachu of course. The case is topped with an adorable gold candy shaped charm on its zip! This this case would be ideal to store pens, pencils and other stationary or even makeup. This is a very limited piece of merchandise so once it’s gone, it’s gone for good, so don’t miss the chance to pick up this awesome piece of Pokémon merchandise! It doesn’t get much cuter then this new limited edition Pokémon Center merchandise. The Fluffy Little Pokémon collection features soft pastel artwork and plushies surrounded by cute cakes and candy. This pastel blue carry case includes Purrloin, Chansey, Audino, Bounsweet, Morelull, Flaaffy, Luvdisc and Pikachu of course. The case is topped with an adorable gold candy shaped charm on its zip! This this case would be ideal to store stationary, toiletries and makeup. This is a very limited piece of merchandise so once it’s gone, it’s gone for good, so don’t miss the chance to pick up this awesome piece of Pokémon merchandise! 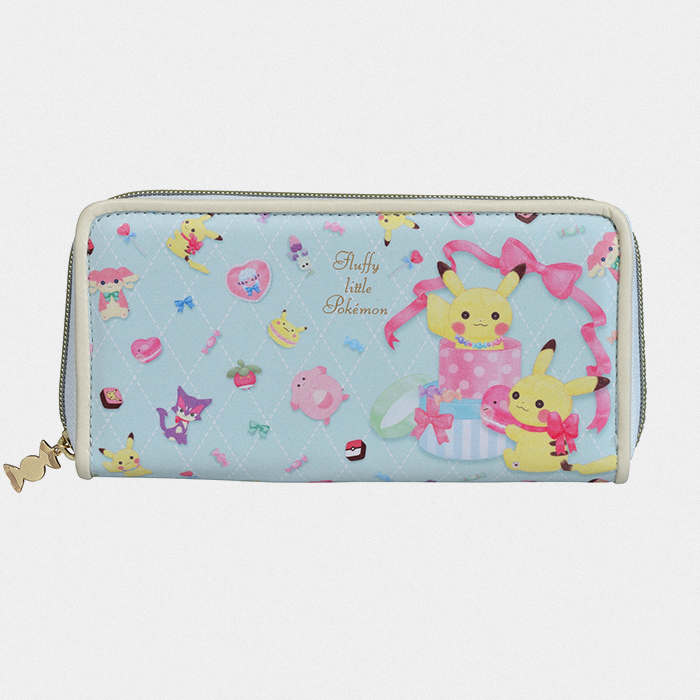 It doesn’t get much cuter then this new limited edition Pokémon Center merchandise. The Fluffy Little Pokémon collection features soft pastel artwork and plushies surrounded by cute cakes and candy. 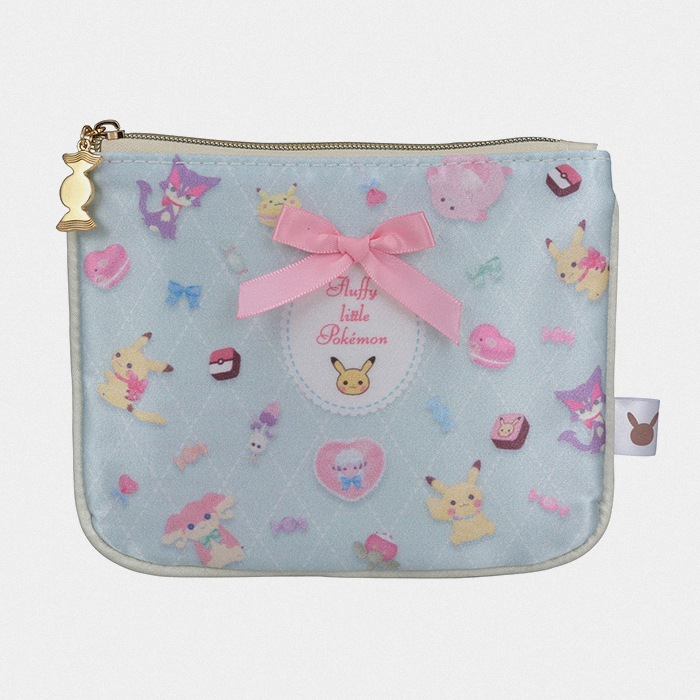 This pastel blue pouch includes Purrloin, Chansey, Audino, Bounsweet, Morelull, Flaaffy, Luvdisc and Pikachu of course. The pouch is topped with an adorable gold candy shaped charm on its zip! This this pouch would be ideal to store tissues and small keepsakes. This is a very limited piece of merchandise so once it’s gone, it’s gone for good, so don’t miss the chance to pick up this awesome piece of Pokémon merchandise!